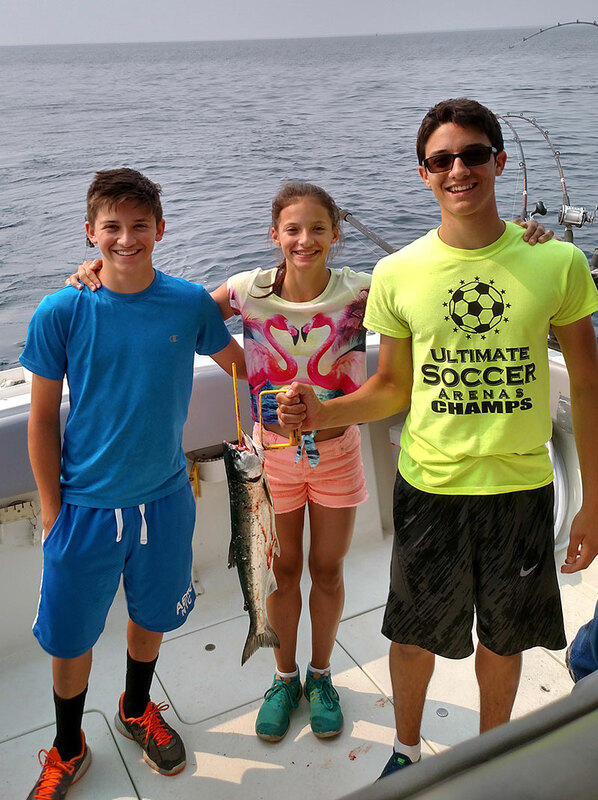 Lake Trout continue to be taken straight out and North of the harbor in 80-120 foot of water. Try dodgers with spin and glows, green, white with pink dots, and black have been working well. 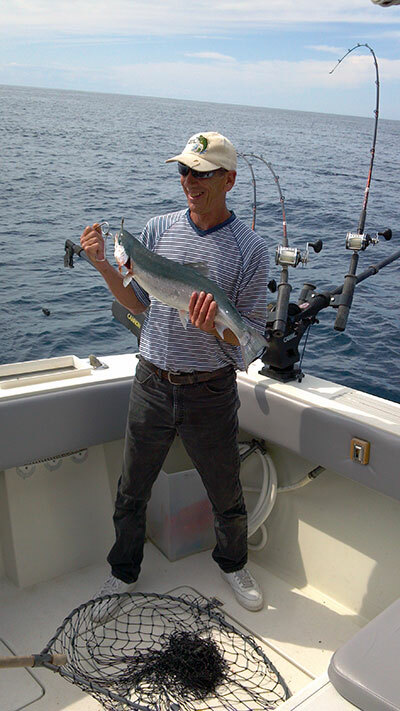 Try for Steelhead out near the color lines, using bright colored spoons off the Offshore boards using 2,5,7,and 10 colored lead lines. A few Atlantic’s and Coho have been taken out in the 80-120 foot of water areas off the downriggers using spoons at mixed depths. Bass are being taken casting in close to shore using small body baits. Some Walleye have been taken in 20-45 foot of water North of the harbor using crawler harnesses or Hot and Tots.